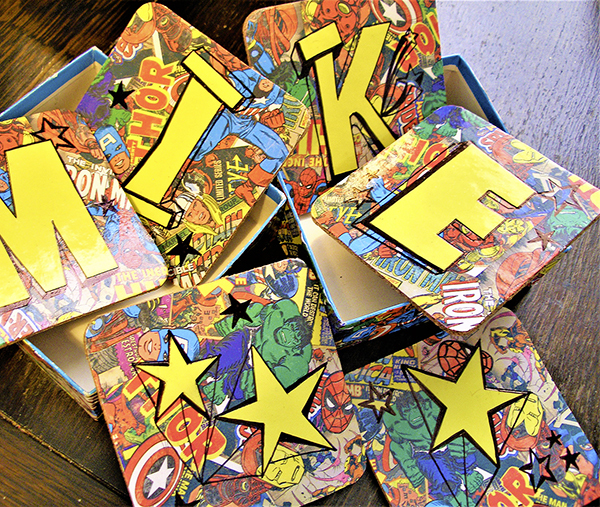 After I’d wrapped some birthday presents I had several pieces of superhero paper left over. I bought some cork coasters and glued the paper on to them, then I cut out letters and stars and stuck them on too. I used a permanent marker pen to make them stand out before covering the designs with PVA glue. Finally I covered a small cardboard box with the paper to use as storage for my new coasters.